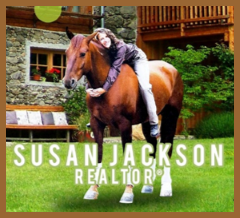 "Working with Susan Jackson has been a delight! We enjoy how she understands our desires and our budget. She focuses on properties with land for small or large farming/ranching purposes and is knowledgeable about the process from both sides of the fence! I highly recommend her to anyone seeking property that goes beyond a house and a yard into a home and lifestyle acquired from the land you invest your heart and soul into!" Janice and Jerry M.
Sound Homes & Properties, LLC.